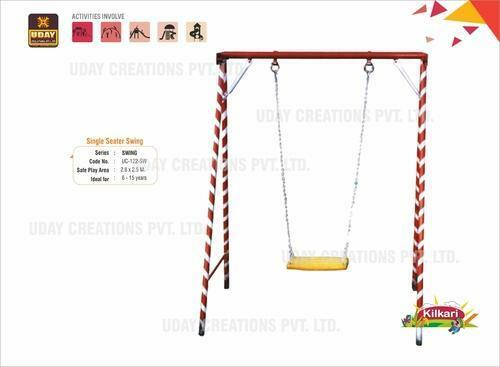 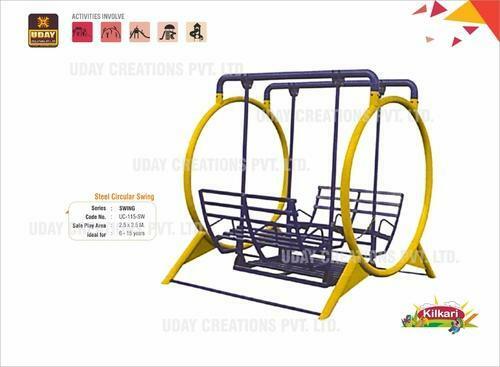 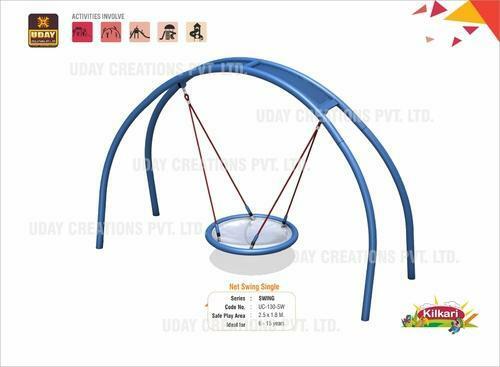 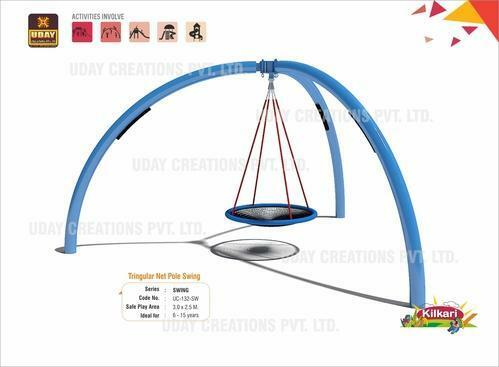 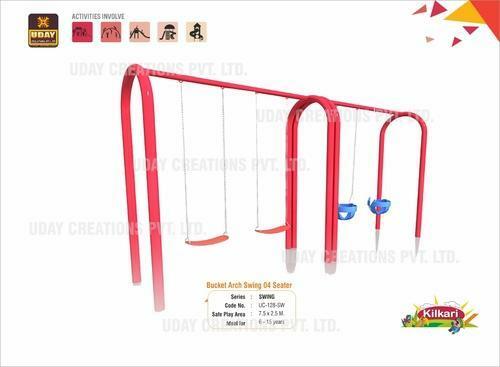 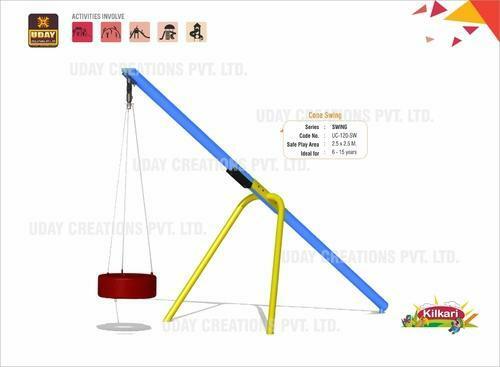 Swings are one of the most widely used and commonly seen children play items which our company is manufacturing, supplying and also exporting to different parts of the country as well as abroad. 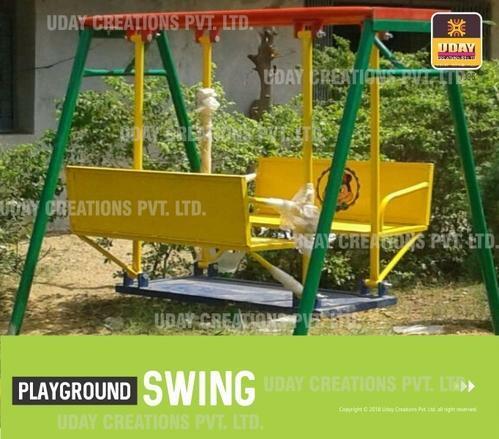 These swings have been manufactured at our company in an excellent manner which provides to it a desirable lifetime as well as an excellent finishing and appearances. 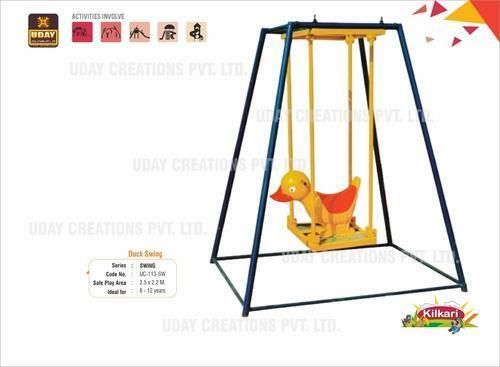 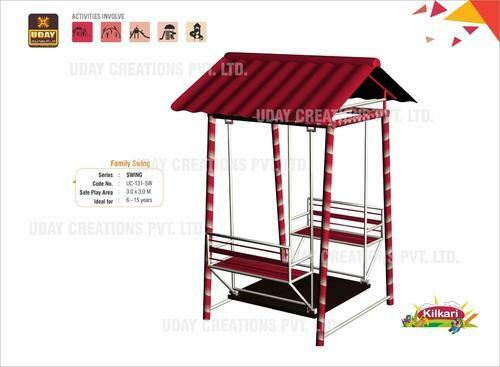 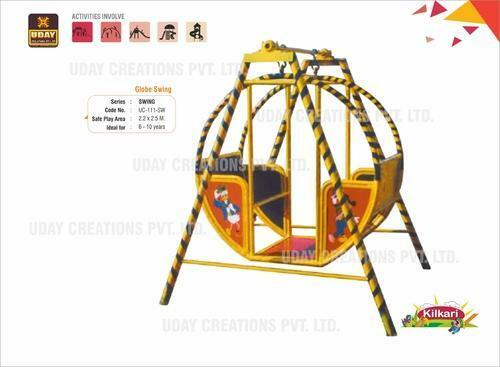 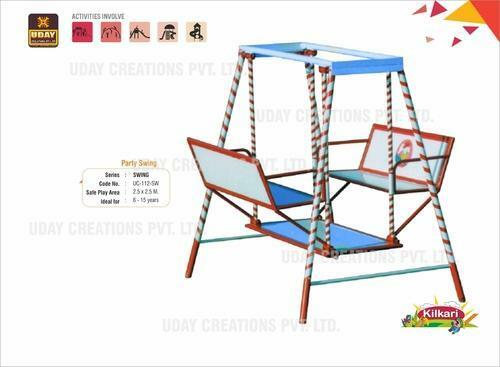 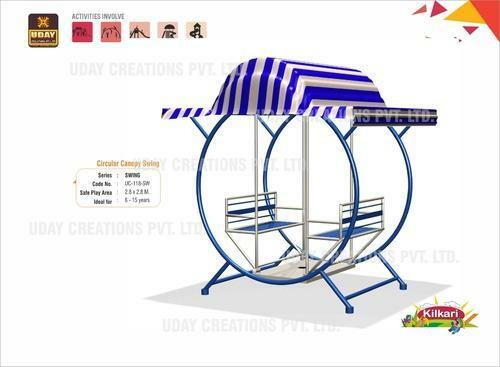 These swings are one of the best quality children amusement items which our company is providing at very economical prices. 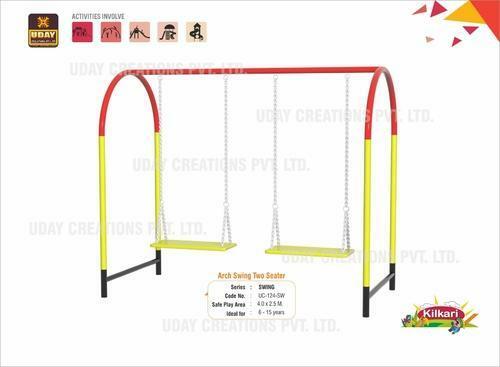 Used For : School, Garden, Park, MNC. 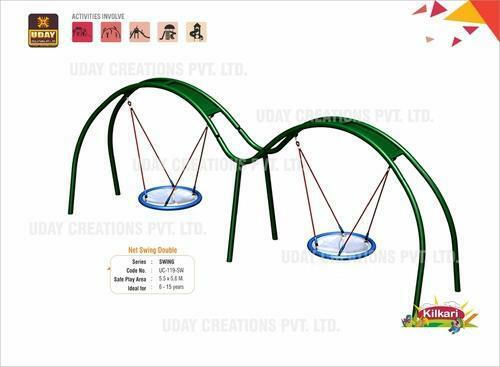 All Steel components made up of Apollo Brand ISI Marks Pipes with powder coated with anticorrosion treatment. 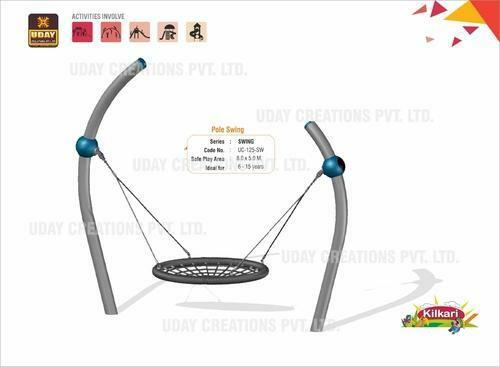 All FRP components are paint with PU paint in 03 Layers. 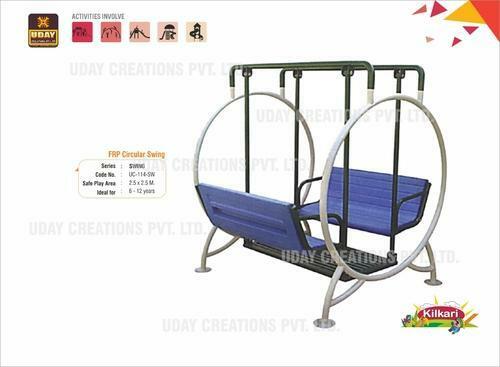 All Steel Components all powder coated with anticorrosion treatment and seats available in rubber belt. 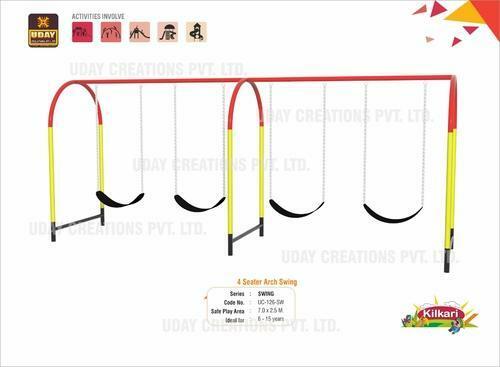 All FRP Equipments Paint By 3 Layer Of P.U. 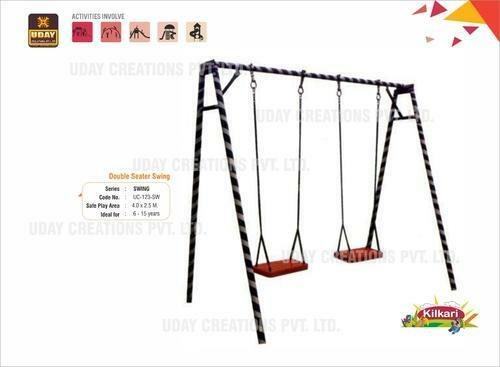 Paint In Multi-Color All Steel Equipments Oven Baked Powder Coated With Anticorrosion Treatment. 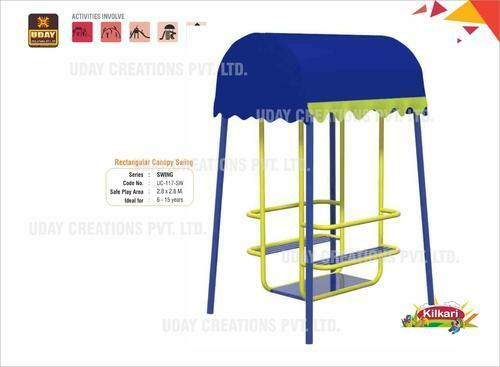 All steel equipments oven baked powder coated with anticorrosion treatment. 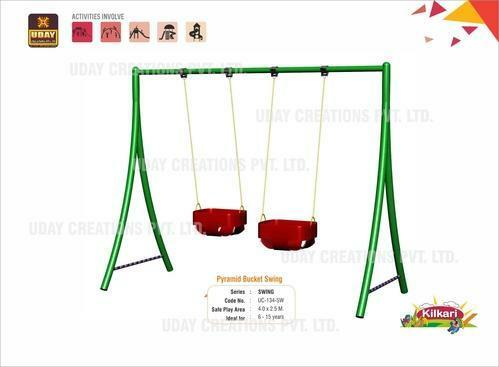 All Steel Components all powder coated with anticorrosion treatment and FRP components are paint by 03 layers of PU Paint. 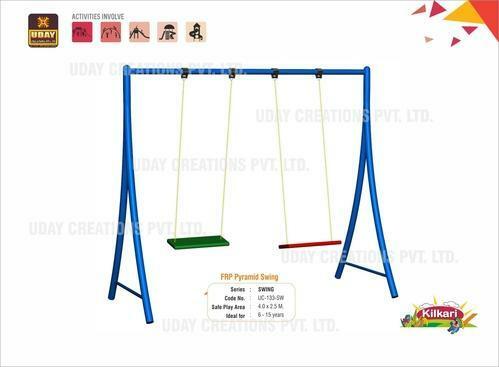 All Steel Components are powder coated with anti corrosion treatment and FRP components are paint by 03 layers of PU Paint. 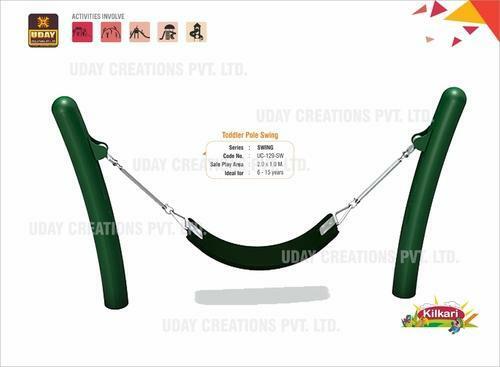 All Steel Components all powder coated with anticorrosion treatment and Seat is made up of Rubber Belt. 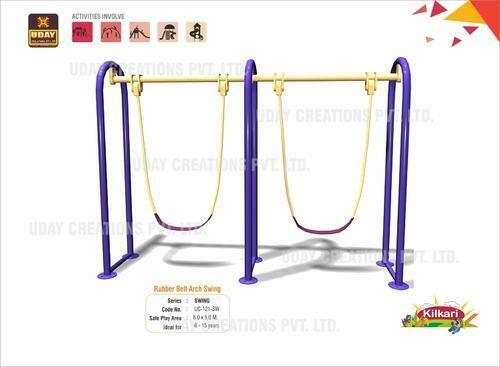 All Steel Components all powder coated with anticorrosion treatment. 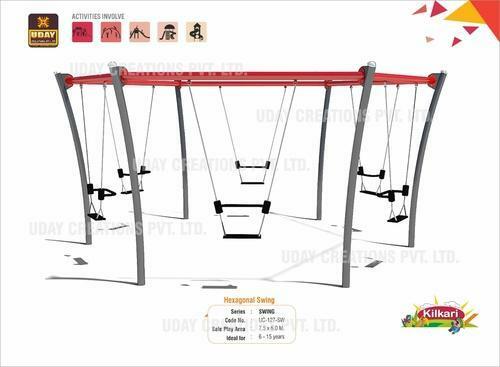 All Steel Components all powder coated with anticorrosion treatment . 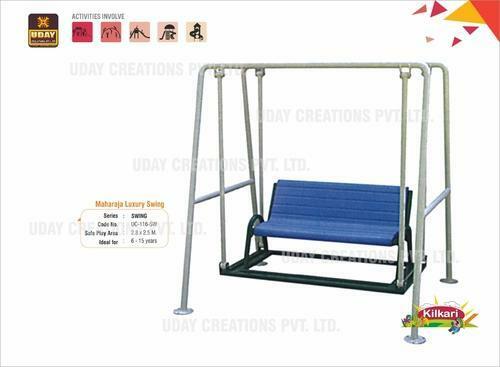 All Steel Components all powder coated with anticorrosion treatment and seats are made up by Rubber belt & Bucket Rubber swing.